In 1968, gas was 68 cents per gallon, the minimum wage was $1.60 an hour and the average cost of a new car was $2,822. There were many significant events in Black America too: Martin Luther King Jr. was assassinated, sanitation workers on strike in Memphis, Tennessee carried the powerful yet simple posters that read, "I Am A Man," and gold and bronze medalists Tommie Smith and John Carlos were expelled from Team USA after bowing their heads and raising black-gloved fists in silent protest against racial discrimination during the playing of the Star Spangled Banner. For eight local residents, 1968 also marks another significant event. Robert and Anna (Walker) Sevier were teenagers when they met at Jerusalem Baptist Church in Gary, Indiana. Ralph Jr. and Linda (Hayden) Jones met on campus at DePauw University in Greencastle. Sam and Saundra (Kirby) White met at Tuskegee Institute in Tuskegee, Alabama. Michael and Sheila (White) Smith were teenagers when they first met at Union Baptist Church here in Fort Wayne. All four couples married in 1968; 50 years later, they are still going strong. 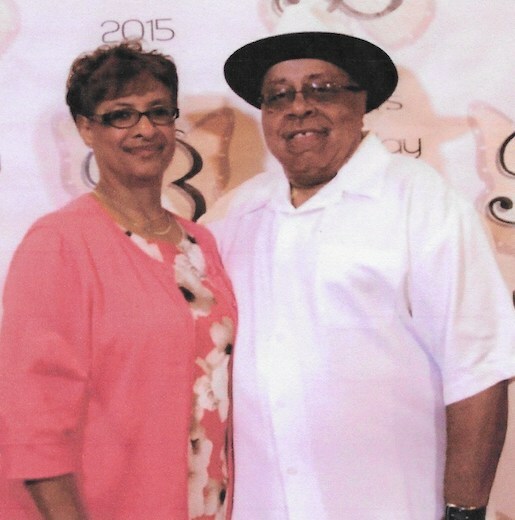 Marriage, love, and commitment were all celebrated in a reception after Sunday services at Union Baptist Church. Family and friends were treated to brunch, a slideshow of 1968 facts and events along with then-and-now photos of the couples. Plaques were given to each couple commemorating their 50th wedding anniversary. Quite an achievement at a time when 40-50% of marriages in the United States end in divorce, according to the American Psychological Association. Of course 1968 was a time when society expected, if not demanded, that marriage indeed be ’til death do you part and that a man should do the right thing if a woman became pregnant. These couples, many who married as teenagers, also grew up during the time of the Poor People's March, President Nixon, Apollo 8's historical trip around the moon and other events that affected them as well. However, they all have withstood time, trials and tribulations to beat today's odds. What's the secret? "We've had our ups and downs," said Linda Jones, who’s celebrating her 50th anniversary with husband Ralph on August 31. "It's about being intentional. You have to be committed to making it work, and it definitely helps if you have God on your side." Having a sense of humor helps too. Thinking back to a time when she considered divorce, Jones said with a laugh, "it's like a used car. You turn one in for another, and you get a different set of problems. Might as well stick with the one you know." As far as advice to other couples, Jones said to "be honest with each other before you get married. Ask each other the important questions and work on issues like money management and kids before issues come up. It helps if you are best friends." And most importantly, "don't try to change your spouse. You can only work on yourself." She said she asked God to change her to be the wife her husband needed because, "what I want may not be what God wants him to be." Just as each marriage is different, each couple will celebrate their 50th anniversary in their own way. One couple is going on a cruise and another will vacation in Hawaii. The important thing for the couples is to celebrate this milestone together. Raise your glass, cheers to them! Here's to another 50 years!